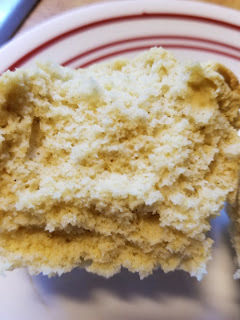 I am experimenting with flours I haven't used before and in researching their properties, I found millet flour is supposed to taste like corn. 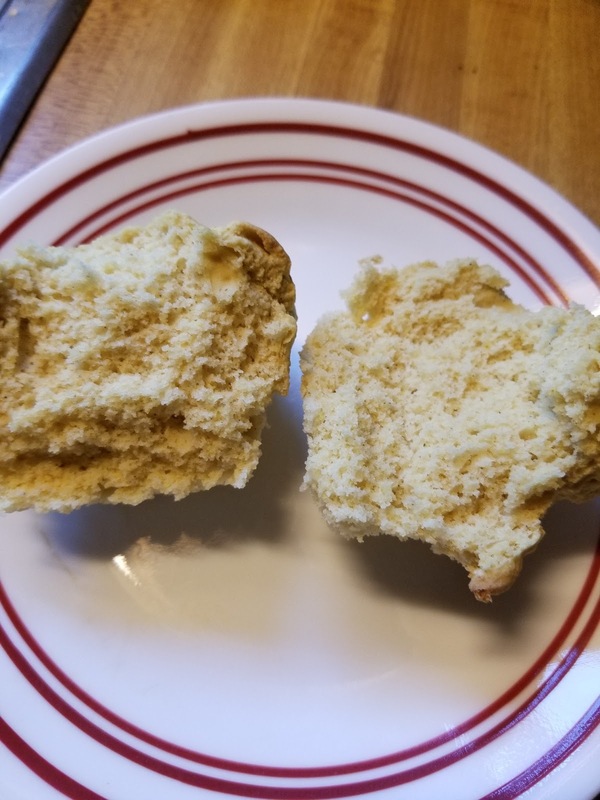 My first thought- CORNBREAD! I love cornbread with bean soup! My recipe is here. 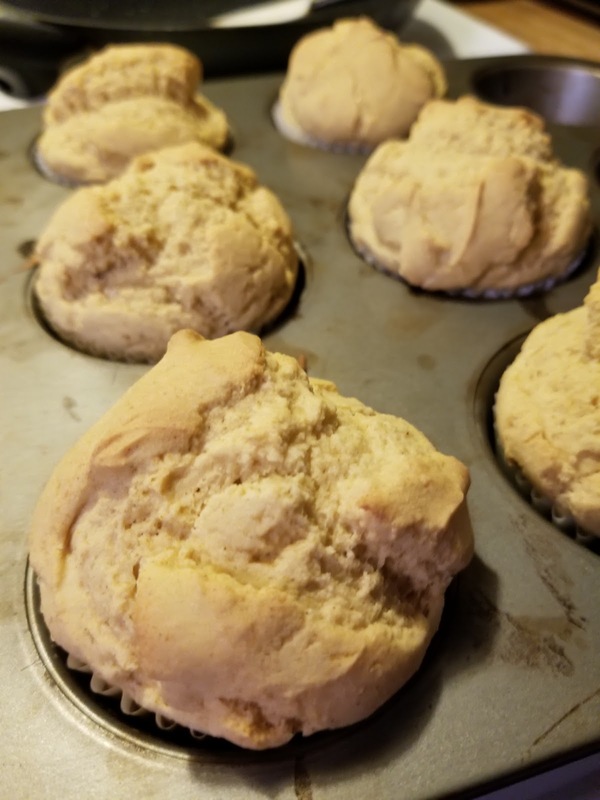 With autumn falling in and chili weather here, I needed to make a corn like muffin to go with my chili! If your chili requires a grain portion for phase 1, this is your recipe! Millet is also gluten free, so for all you folks that need to avoid gluten- here you go! These muffins are pretty versatile, too. You can add a bit more sweetener and throw in blueberries or raspberries. You can make them as sweet as you like- I like my cornbread (pre-FMD days) on the sweet side. 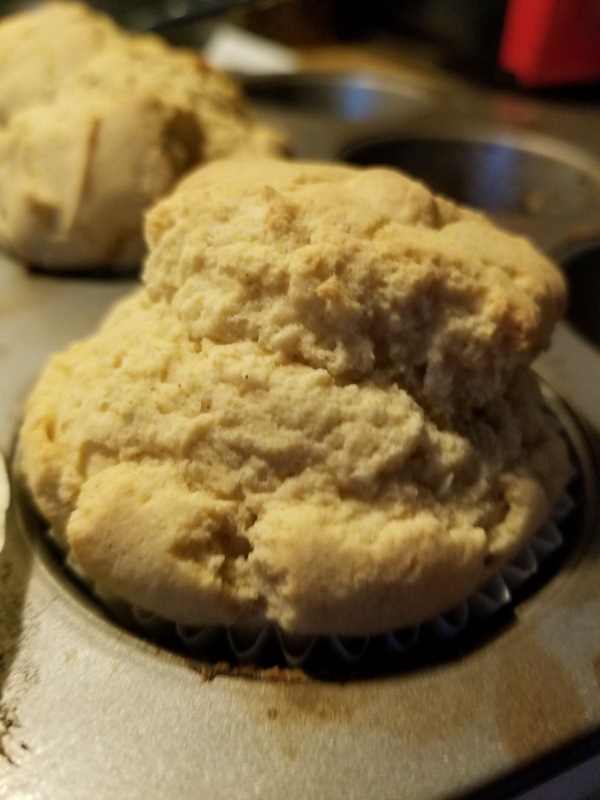 I have not made these with other ingredients, only the ones listed. I cannot say how they will turn out if you use substitutions. I buy my flours online at Vitacost. In a medium bowl, mix all the flours together. Set aside. In a large bowl, whip the egg whites with a wire whisk until they are frothy. Add in xylitol and whisk until xylitol is dissolved. 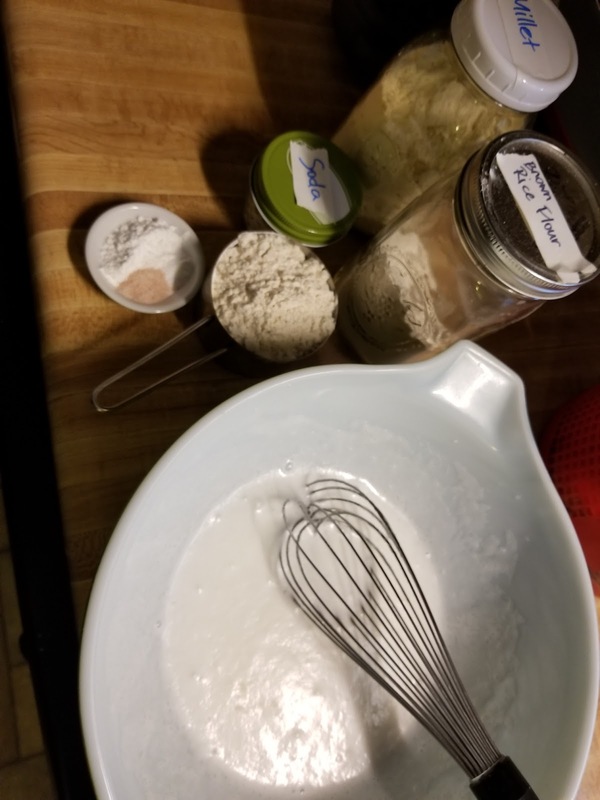 Whisk in salt, baking powder, baking soda, xanthan gum. Add in the flour mixture and the oat milk. Gently stir with whisk until just combined. 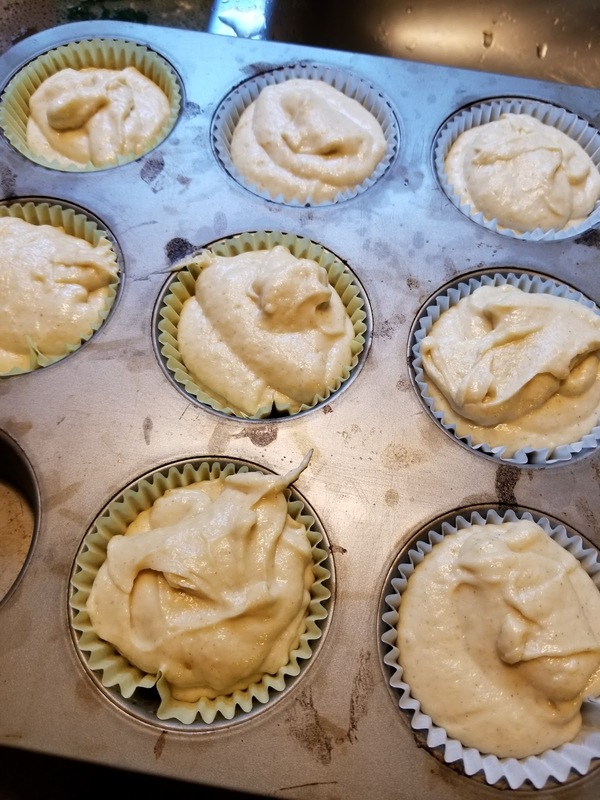 Line a muffin pan with 8 paper or silicone liners. Divide batter evenly. Place in preheated oven and immediately reduce heat to 400. Bake for 15 minutes. They do not brown. Makes 8 phase 1 servings.